Although conventional wisdom might say that brothers and sisters generally fight “like cats and dogs,” a glimpse at Matthew Kinney and his big sister, Lesa Kinney Anders, authors of “Dead, But Not for Long,” proves that not to be the case. Not only did this brother and sister get along as kids, their cooperation has brought them a well-received first book, a soon-to-come sequel, and a working relationship to be envied. The Kinney family came to Boulder City in 1974, and lived in Lake Tree in Hemenway Valley when “only a handful of houses” were in the area, Anders said. “About 50 condominiums,” Kinney added, and all the kids played together. Mom, Dian Kinney, was the original storyteller in the family, and the mantle was passed to Anders. According to Kinney, big sister’s baby-sitting charges would behave when she told scary stories. “She’s pretty much from an early age conditioned me to listen to her, and I learned to obey,” Kinney said. “He has to do everything I say,” Anders added while laughing. Their collaborative venture on their first book began in 2009 as simply an exercise in fun. The two would share zombie stories with their sons and assemble characters that they would email to each other. Add to that the influence of brother John Kinney, now retired from the Boulder City Fire Department, who “got us on the whole zombie thing,” according to Matthew Kinney. The book, which took about a year, took shape mainly via the Internet with the two sending pieces of characters back and forth. Before the storyline came the characters. “I’d write a part and Matt would write a part,” Anders said. He has the creativity and she had the structure, according to Kinney. Anders majored in English and then accounting. “We always respect each other’s ideas and writing. She’ll never change something without consulting me. I’ll never change something without consulting her,” Kinney said. “If we don’t agree on something,” it could go to a coin toss, the two said simultaneously. In the end, “We’ll come to an understanding,” Anders said. The title for the first book was Matt’s idea, Anders said. Both wanted to make sure people knew there was humor in the work and not the usual dark zombie type of product. “I’ve always been interested in the aspect” of how people would survive with no electricity and water and food if the “world went into chaos” and how people would “live off the grid,” Kinney said. Anders and Kinney have different areas they enjoying writing about; action sequences are Anders’ forte, while Kinney contemplates the various ways characters perform in situations. 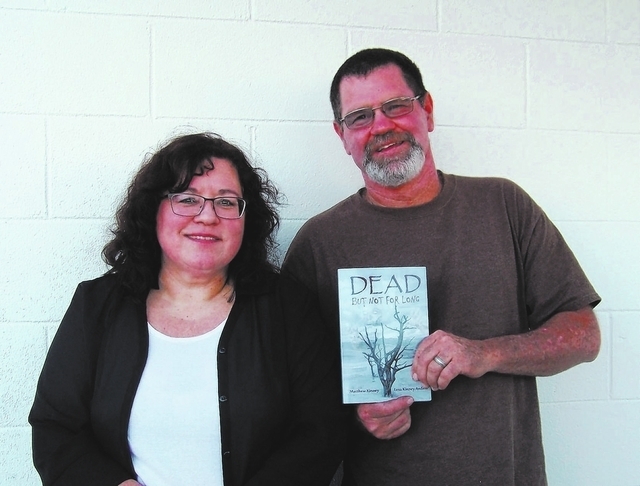 “Dead, But Not for Long” has done much better than Anders and Kinney had expected, with approximately 30,000 copies in paperback and ebooks out in the public. There was a day, Anders said, that the book was at the top of Amazon’s list with authors such as Stephen King. The self-published, independent first effort sold 146 copies in one day after an advertising blitz on Amazon.com. The reader reviews have been mostly positive. Of 143 customer reviews on Amazon.com, 43 percent gave five-star reviews, 34 percent gave it four stars, and only 3 percent of readers gave it one star. Yet, the time has not yet arrived for either of the authors to leave their full-time jobs. Anders is the comptroller at Rocky Research and Kinney is a partner in Harrelson Masonry. The sequel will have two storylines, one in Lansing, Mich., the setting of their first book, and one in Los Angeles. There will also be a scene with characters coming through Boulder City. For those who may be hesitant about reading a zombie book, Kinney says “Dead, But Not for Long” is not a typical zombie book. He thinks most of the zombie books are too serious and “take themselves too seriously,” which is why he and Anders purposely added humor to their work. A few of the people who eventually read and reviewed the book didn’t want to read it at all because zombies weren’t to their liking. They read “Dead, But Not for Long” and became satisfied readers. To read reviews of “Dead, But Not for Long,” purchase a copy or download a Kindle book, go to http://bit.ly/195UfCr. Reporter Rose Ann Miele can be reached at roseannrab@hotmail.com. 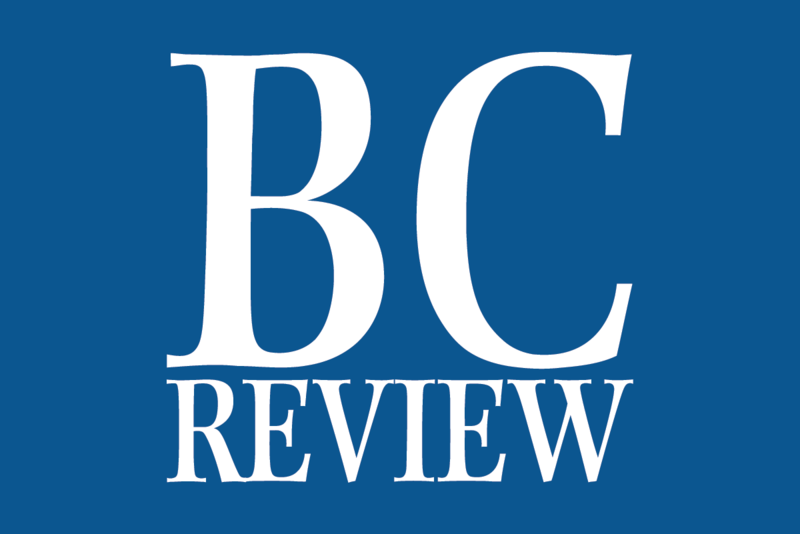 Follow us on Twitter: @BCReview.